Delivering the finest and most vibrant cuts in the area. Thick, healthy and lush turf. That’s what we do. It starts with a deep understanding of all the ingredients needed. 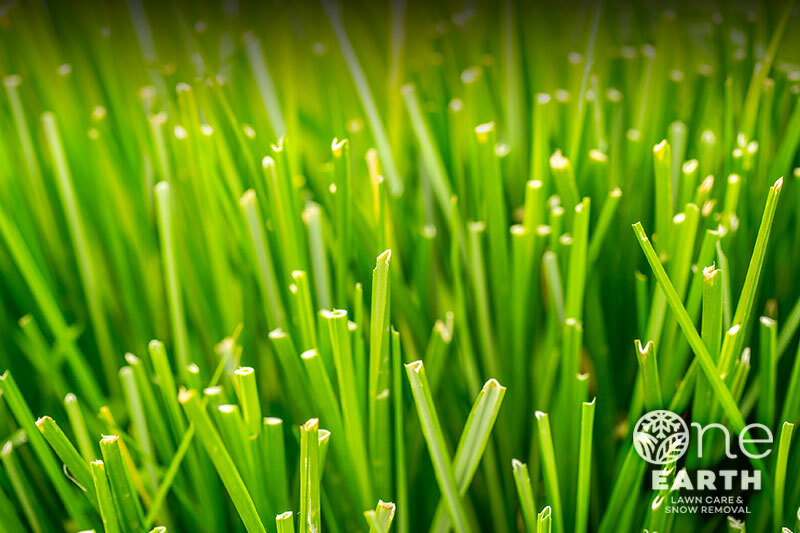 Put our years of experience into action and we’ll get your turf and landscape in top shape. Check back in the spring for an updated list and special spring pricing. 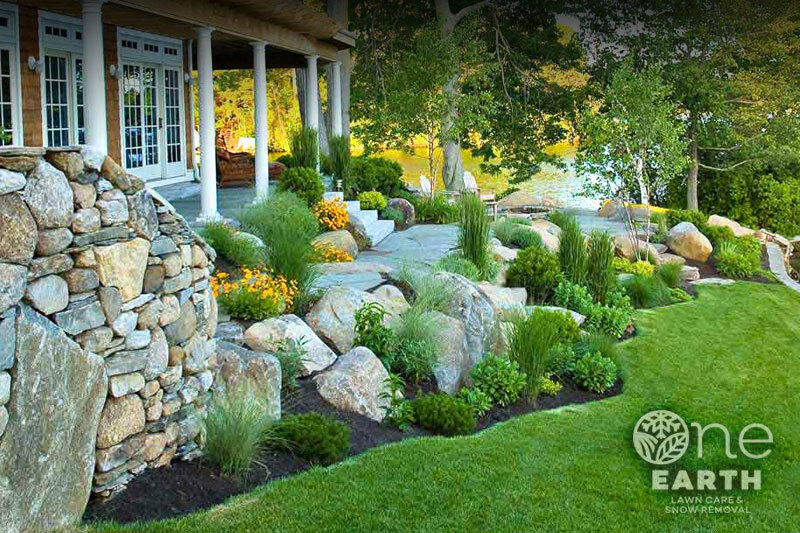 Our clients rely on One Earth for a complete landscape project experience. From design to installation we’ll partner with you to make the dream reality. No matter the budget, big or small, our team can create a pleasant décor and outdoor space you’ve been looking for. We focus on serving the chain of lakes community with environments that compliment the natural topography. Prairie grasses, plantings and inviting shorelines are company favorites. Ask us how you can maximize the functionality of your landscape with an outdoor living space. We look forward to hearing from you, contact us today.